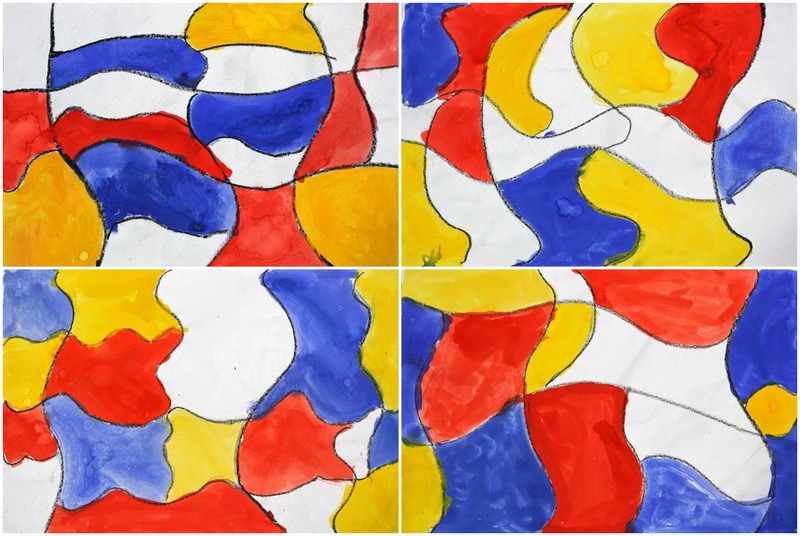 Year 1 made these wavy Mondrian-inspired abstractions with black oil pastels and watercolour paints. It's a straightforward lesson but the students enjoyed it, which has to remain a priority — not a lot of learning happens when there's no joy! I've previously tried more regular, ruled Mondrians with year 2 and recoloured Mondrians with Year 5. I love these unruly Mondrians, so full of character!